Conex Box Storage Containers for all projects. While remodeling or on site for new construction you’ll often need space to store furniture you’re planning on keeping or building materials. You’ll want to store these materials or home décor items in a secure place rather than leaving them out in the open – exposed to both the elements and to the possibility of theft. Mobile connex storage containers come in multiple sizes and keep your items safe from harm. 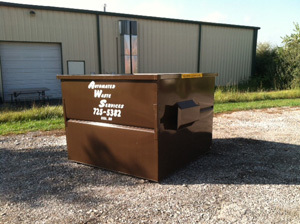 When you’re finished with your storage containers, let Automated Waste know and we’ll come pick your container up. It’s as easy as that! These are on site mobile connex storage containers used at construction sites and for any business or person that needs extra temporary storage space be it short or long term. We can deliver any where within a 150 mile radius. 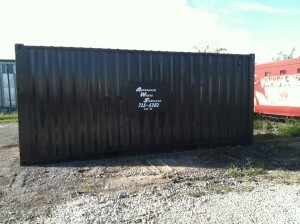 6 yard container for small construction jobs or clean outs.